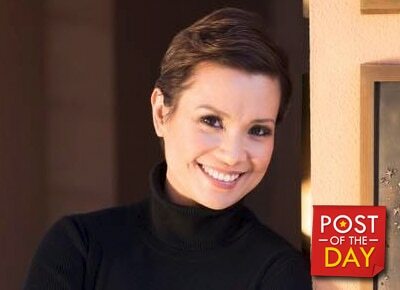 In her recent Facebook posts, singer Lea Salonga shared a photo of her plaque as a Disney Legend displayed in the Disney Animations Studio in California. Lea said she had her hands immortalized in August of 2011 but she just recently saw the finished product. "Dunked my hands in cement at the ceremony in August 2011. Only saw the finished plaque in person in December 2016," she said in her post. The Broadway star also added she's proud to be in the league with famous personalities like Jim Henson, Julie Andrews and Steve Jobs. Lea has been tapped by Disney twice -- to be the singing voice of Princess Jasmine for "Aladdin" and Mulan for "Mulan."